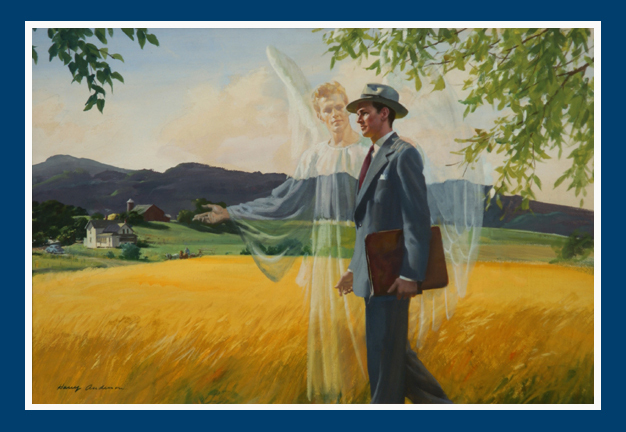 Harry Anderson‘s artwork is canonized within the LDS Church. 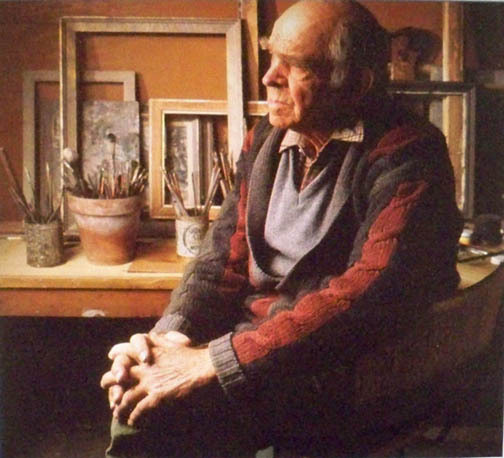 His paintings can be found in manuals, books, websites, and in the homes of members. His prints are found hanging in church buildings, literally, around the world. What most members do not know is that Harry Anderson was never a member of the Church and was a proud Seventh-day Adventist. 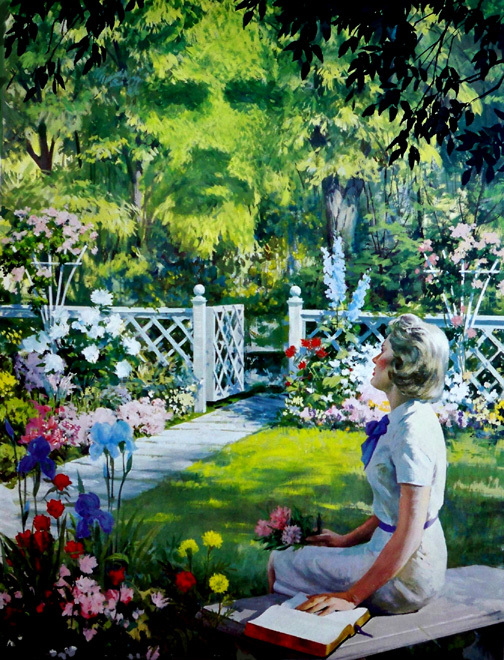 Anderson was first hired to create paintings for the Church’s pavilion at the World’s Fair. He accepted many more commissions to create paintings for the Church and the Church uses this same art, well, religiously. 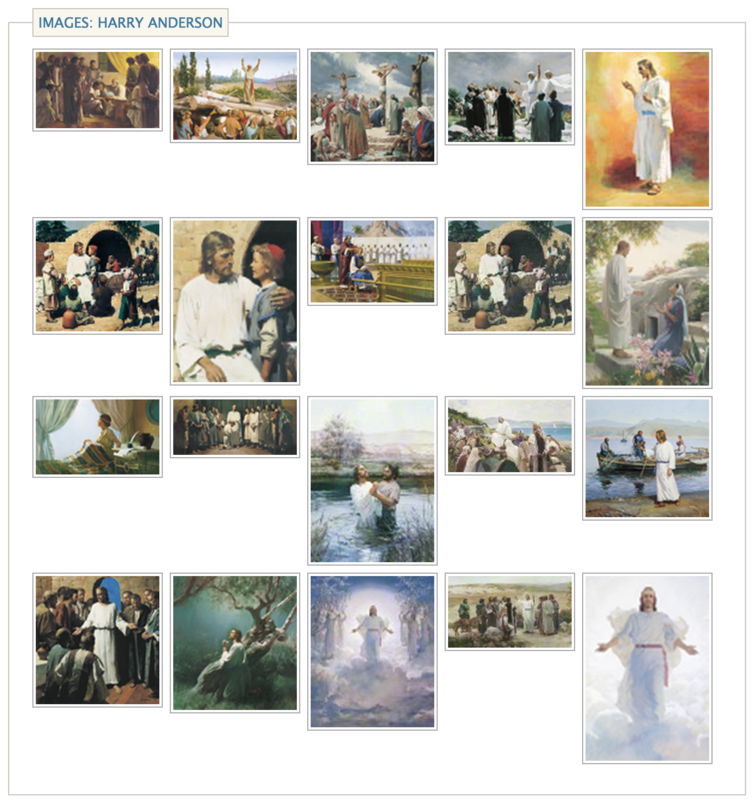 You can see from the image search on LDS.org just how many of the standard prints used in the Church were commissions of Harry Anderson including the famous The Second Coming. Jim Pinkoski has been documenting the art of Harry Anderson for decades and met the artist shortly before Anderson’s death in 1996. His labor of love can be found at www.harryandersonart.com. 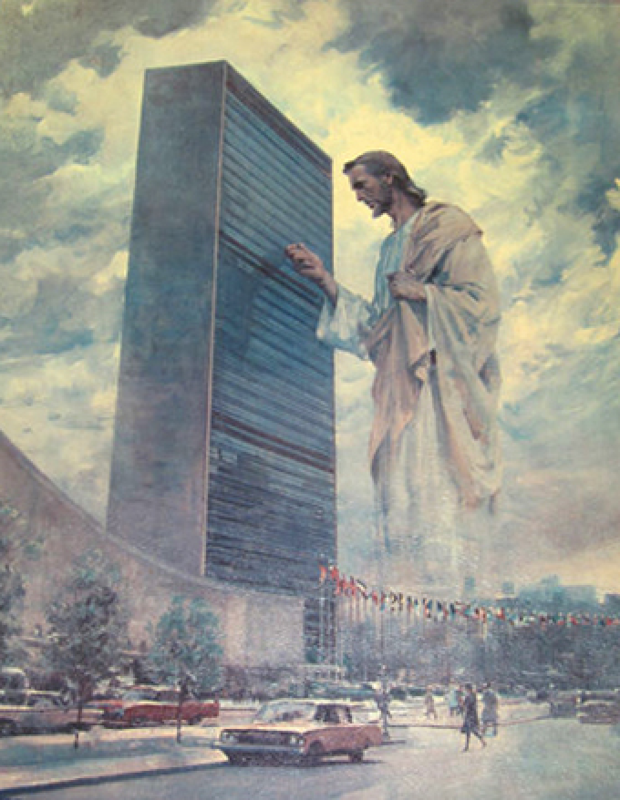 Anderson was as prolific an illustrator as Norman Rockwell and I find his non-LDS religious art fascinating. The first time I saw the images I said to myself, ‘Wait, that’s our Jesus.” Pinkoski was kind enough to answer a few questions about Anderson. What attracted you so much to Anderson’s artwork? 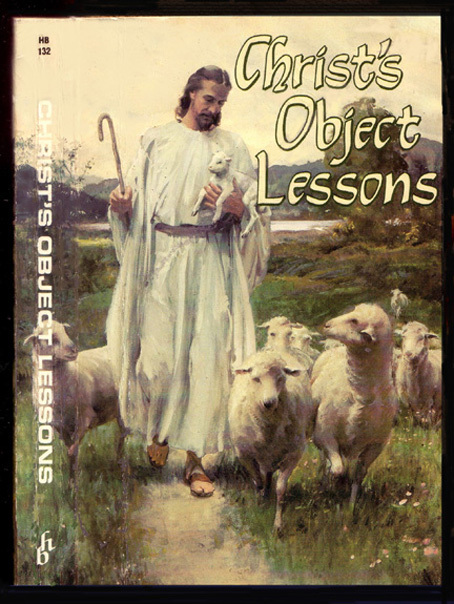 When I was 34 in 1984 I attended a 5-week Revelation Seminar being done by the Seventh-day Adventists, and two things amazed me: first, their ability to be able to explain the Bible from cover-to-cover in a way that far surpassed any other church’s explanations, and the nightly slide show included lots of Harry Anderson’s amazing art that I had never seen before! Explain why Anderson only painted Christ or Bible stories for the Mormon church. 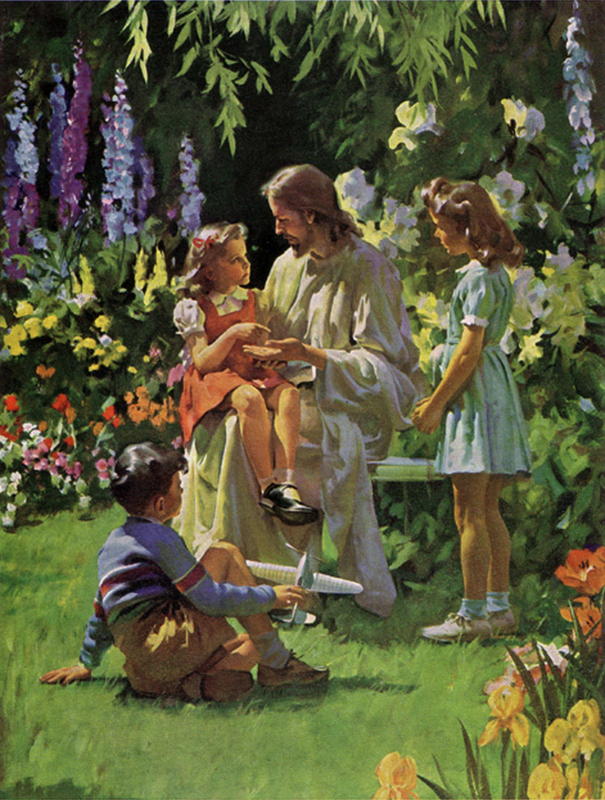 Harry has done about 300 paintings for the Adventist church, which he had joined in 1944 — in the late 1960’s and 1970’s when he agreed to paint 20 or so pictures for the Mormon church, he stipulated that they would only be scenes from the Bible. When Harry became an SDA, he did so by understanding why he was not joining other churches… he was not going to be a Baptist, or a Catholic, or an Episcopal, or a Jehovah’s Witness, or a New Ager, or a Pentecostal or a Methodist — he could only belong to a church that held to what he understood to be the correct doctrines of Scripture, as he came to understand them. If even one doctrine was off, then belonging to and/or supporting that denomination was not possible. And he could not in good faith use his talents that God had given him to promote anything that he disagreed with — in his commercial work he refused doing ads for alcohol or cigarettes, and when it came to doing his religious art he could not illustrate the extra-biblical scenes from the Book of Mormon. Is Harry Anderson held in the same regard with the Seventh-day Adventist church? Oh yes, Harry was held in very high regard within the SDA church during the 1940-1970 time period. With the passage of time and Harry’s death in 1996, fewer and fewer people know about him and unfortunately today his impact upon today’s Adventists has lessened — lots of newer SDA artists like Nathan Greene and Lars Justinen have taken over illustrating our books and publications. 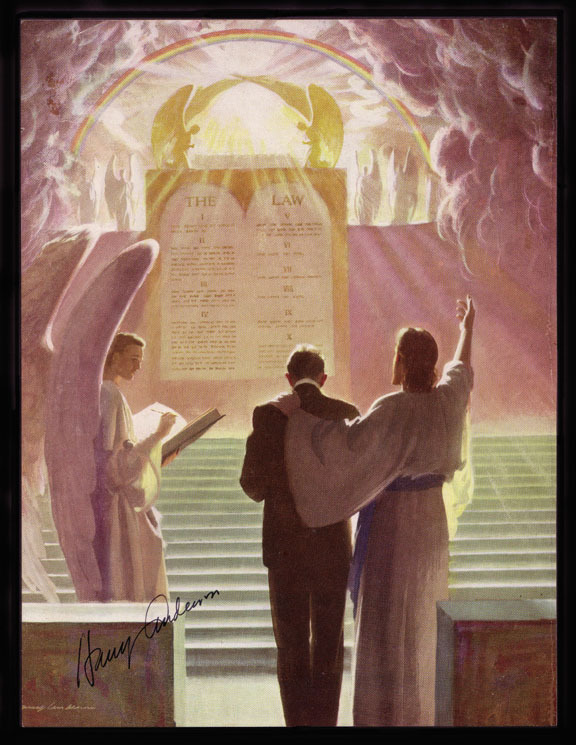 What is your favorite religious painting by Harry Anderson? It would have to be What happened to Your Hand? (shown at the top of this post) which was Harry’s very first painting of Jesus. What’s your favorite story about Harry Anderson? I have three: First, I really admire how he responded to hearing about the Lord from a humble Adventist man who came to their house in 1944 to do chores for them, and Harry and his wife became SDAs; second, how Harry was willing to do 300+ paintings for the Lord while taking far less than his normal salary, even though it put his family in a tight financial spot for many years; third, in his later years when Harry had his stroke and was laying in a hospital bed paralyzed and they prayed that the Lord either heal him or take him, he was healed (which made it possible for me to actually meet him in 1986)! 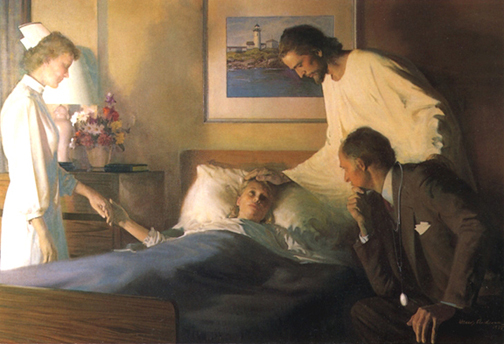 When Harry’s family was faced with a huge hospital bill that was impossible to pay, the Lord arranged that Harry sold two of his paintings that covered the needed amount. Praise the Lord! Visit the Harry Anderson website.